This is FRESH AIR. Sunday and Monday, HBO presents a new two-part, four-hour documentary that's already generated controversy and a wide variety of reactions. It's called "Leaving Neverland," and it's about two men in their 30s who give separate but similar and detailed accounts of being sexually molested as young children by music superstar Michael Jackson. Our TV critic David Bianculli has this review. DAVID BIANCULLI, BYLINE: "Leaving Neverland" by documentary filmmaker Dan Reed is a tough TV show to watch, but it should be seen. Its central question is whether Michael Jackson used his fame and money to seduce young boys and their families into enabling a hidden pattern of serial pedophilia. That charge was denied strongly this week by members of the Jackson family, who have sued HBO for a hundred million dollars. 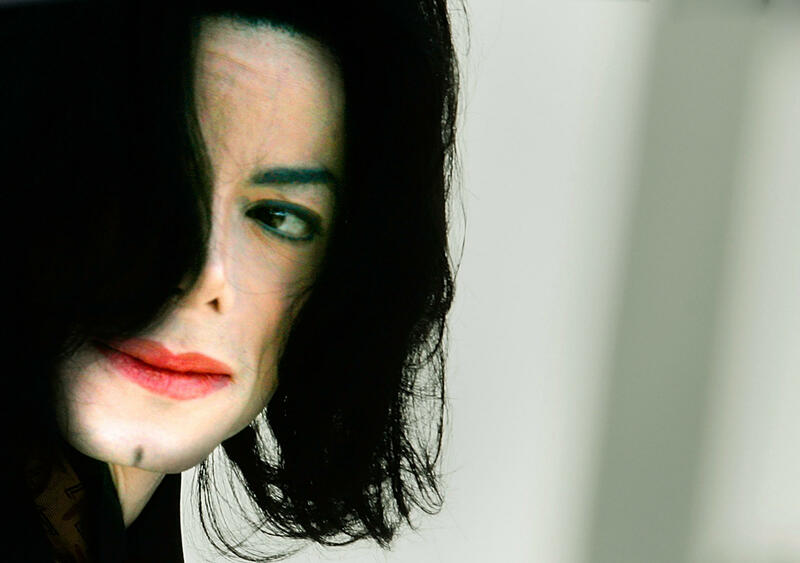 They claim that the two men interviewed at the core of "Leaving Neverland" are only in it for the money from lawsuits and, before changing their stories, once defended Michael Jackson against similar charges in court, which they did. Wade Robson won first prize at a Michael Jackson imitation dance contest in Australia when he was 5, and soon ended up on stage a few nights during the real Jackson's tour for his album "Bad," showing off his mini-Michael dance moves. Another young boy, Jimmy Safechuck, was a Simi Valley kid who did some acting work in commercials, including, in 1986, a Pepsi commercial in which he meets Michael Jackson in his dressing room. When the superstar was accused and put on trial for charges of sexual abuse against minors, both Wade and Jimmy denied Jackson had done anything to them as young boys. In "Leaving Neverland," they change their stories and explain why. Throughout the four hours of this documentary, the now-grown men give their accounts. So do their wives, their mothers and their siblings, though almost never in the same camera frame. These families and their lives seem to be fractured, if not shattered. And the stories they tell go a long way towards explaining why. The documentary includes lots of corroborative evidence not of the sexual abuse, but of the undeniable closeness between Jackson and his much younger playmates. After Safechuck costarred in that commercial, Jackson flew him and his family to a Pepsi convention. And in flight, Safechuck pretended to be a reporter and recorded a mock interview with his idol. JIMMY SAFECHUCK: I remember the plane being quite empty. And I did this mock interview with him. He said I could ask him anything I wanted. MICHAEL JACKSON: We're in the air. We're on our way home from Hawaii, thousands of feet in the air on this DC-10. I've had a wonderful time with Jimmy. JACKSON: Sure. You can ask anything. SAFECHUCK: I was just playing a reporter. And he never gave interviews. So it's kind of like, sure, you can interview me. But nobody else got interviews, so it was also a big deal. How did you like Hawaii? What was your, like, best thing about Hawaii? JACKSON: My best thing about Hawaii - being with you. SAFECHUCK: How do you feel about performing and stuff? Do you like it? JACKSON: I love performing. It is the greatest thing in the world because I feel at home onstage. I could live onstage. I'm the most happiest when I'm onstage and when I'm with Jimmy Safechuck. But the best commercial of all the Pepsi commercials is the one that you and I did. And I'm not just saying that. That's the best one 'cause it has heart. Every time I see it, it makes me smile. And I hope to be you all's friends for a long - forever, for a long time. Goodbye - singing off. BIANCULLI: What at first appears innocent by the accounts of Safechuck and Robson soon turn sinister. At one point in "Leaving Neverland," Safechuck displays for the camera a small box of rings he says were given to him by Jackson, including a diamond-encrusted wedding ring, in exchange for sexual favors. Safechuck's hand is shaking with emotion as he displays the rings and recounts his story. At another point in the documentary, Robson decides to go public with his claims of Jackson's pedophilia and ends up on the "Today" show, interviewed by Matt Lauer. MATT LAUER: Let me take you back to 2005, Wade - all right? - the child molestation trial of Michael Jackson. You were the first witness called by the defense, and the attorney for Michael Jackson said he called you first because you were so convincing and powerful asserting the innocence of Michael Jackson. And here we are these years later, and you're going to say just the opposite. ROBSON: First of all, one thing I want to clear up is that this is not a case of repressed memory in any way. LAUER: Which has been reported in the press some. ROBSON: Yeah. I never forgot one moment of what Michael did to me. But I was psychologically and emotionally completely unable and unwilling to understand that it was sexual abuse. LAUER: So what are you alleging that he actually did? ROBSON: He sexually abused me from 7 years old until 14. BIANCULLI: "Leaving Neverland" arrives on HBO at the same time Michael Cohen testified on live TV, accusing President Donald Trump of a variety of misdeeds. It arrives in the era of the #MeToo movement, of the Brett Kavanaugh Supreme Court nomination hearings, of rampant sexual child abuse in the Catholic Church, of charges of sexual misconduct by everyone from Bill Cosby and Harvey Weinstein to Louis C.K. and, yes, Matt Lauer. We seem to agree as a country that victims should be heard. But then what? Michael Jackson was a brilliant singer and performer, and he impacted so many lives that it's difficult to confront, much less accept, some of the charges in "Leaving Neverland." And yet that star power, that magnetic talent is what the men in the documentary say is precisely what entranced them and their families for so long and allowed the abuse to occur and remain hidden. The circumstances surrounding Michael Jackson and his relationships with young boys have always been questionable. But today's climate allows "Leaving Neverland" to ask questions at length and provide some answers. #MeToo has taught us that alleged victims must be allowed to tell their stories. "Leaving Neverland" tells two of them powerfully and unforgettably. DAVIES: David Bianculli is editor of the website TV Worth Watching and author of "The Platinum Age Of Television: From I Love Lucy To The Walking Dead, How Tv Became Terrific." On Monday's show - why some children struggle with adversity more than others. Pediatrician and child development researcher Thomas Boyce says studies suggest while most kids are pretty resilient and ready to cope with stress, a minority are more sensitive both to stressful situations and to a nurturing environment. He'll talk about how to help them and about his new book, "The Orchid And The Dandelion" - hope you can join us. DAVIES: FRESH AIR's executive producer is Danny Miller. Our technical director and engineer is Audrey Bentham with additional engineering support from Joyce Lieberman and Julian Herzfeld. Our associate producer for digital media is Molly Seavy-Nesper. Thea Chaloner directed today's show. For Terry Gross, I'm Dave Davies.